The one poncho to rule all other poncho's. 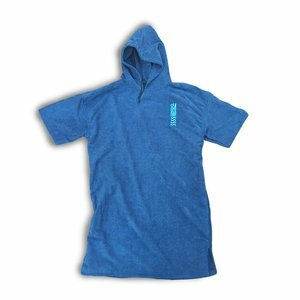 No hyperthermal linings or special ball protection in this one: just smooth, soft and warm microfibre with a special finely embroidered aqua Sea Sick Surf logo on it. We've even slept in it a few times. No ofcourse not in this one. You'll get a fresh non-slept-or-anything-else-in one.